An entertaining way to get a broad overview of our selling solutions and how they work in the field. 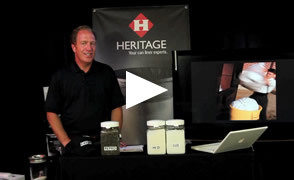 Why Heritage bags are stronger while using less plastic. 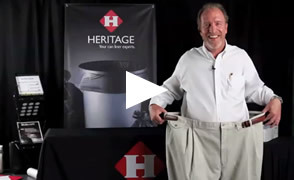 How to properly use the tape measure to get the best fitting bag for your receptacle. 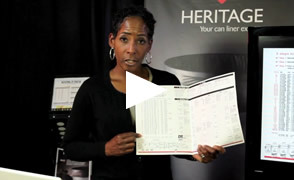 The benefits of using our custom brochure to fulfill customer needs. Plastic types, and choosing the right bag for your application. How AccuFit bags fit the most common cans in the industry. 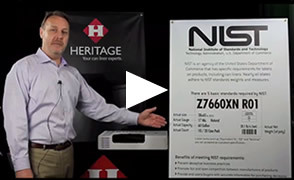 The benefits of meeting the National Institute of Standards and Labeling specificatons. 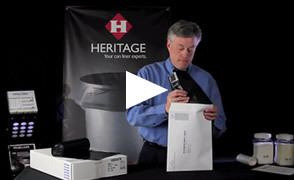 Steps for sending samples to the Heritage laboratory for testing the true specifications of the bag vs. what is on the label.